What crafty project are you working on this week? Unfortunately it is that time of year when all kinds of bugs are going around. My daughter and I have both been stricken with some illness the past few weeks. On the bright side, it gives me a good excuse to snuggle under my big purple blanket on the couch and crochet while catching up on some of my favorite TV shows. 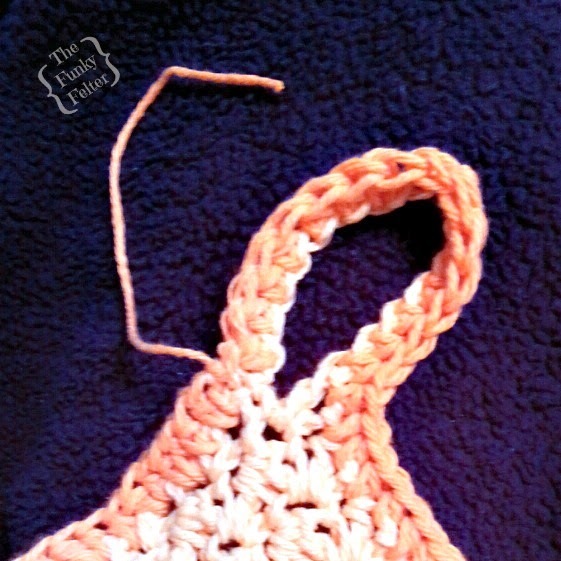 This week I've been working on making up several crocheted dishcloths for Christmas presents. 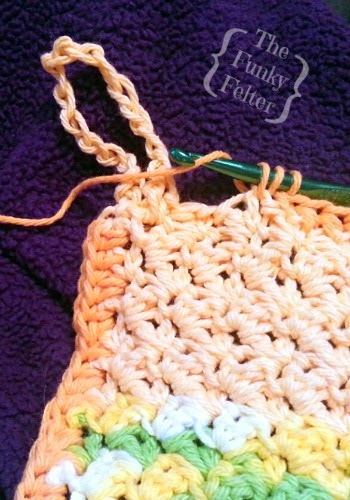 I am using my leftover cotton yarns for the durable wash cloths. I also like putting a little hanger on mine so I can easily put them on a hook in the kitchen to grab quickly. I plan to bundle 2-3 of these in a stack and tie a pretty ribbon around them for gifting. I've used cotton dishcloths for years and also given them to my mom who really likes them. They are a thoughtful, handmade gift, but also practical which I love. 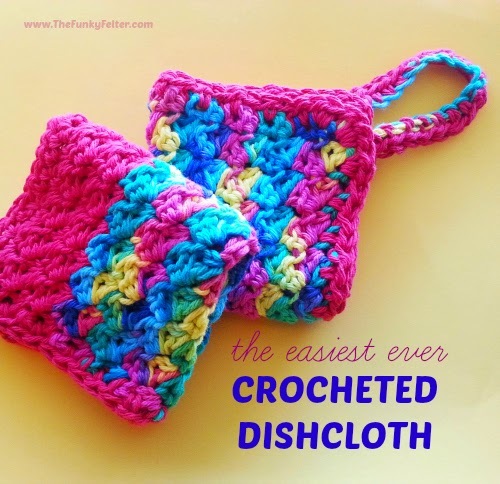 If you'd like to give these quick and easy gifts a try, see below for the link to my free crochet pattern for these dishcloths. 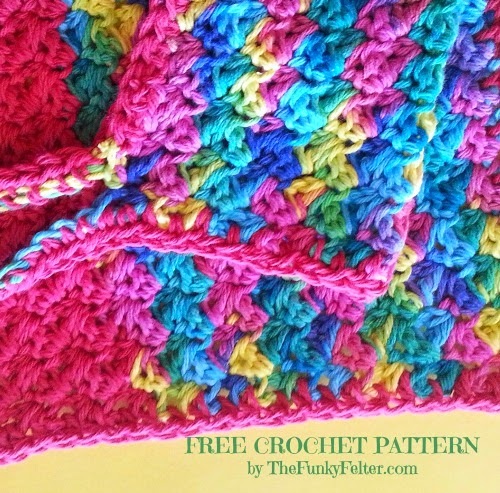 CLICK HERE for my FREE crocheted dishcloth pattern.